Casino Lobby has an amazing selection of deposit bonuses on offer, definitely some of the best you’ll find. Their Wheel of Fortune game is the classic casino version with a straightforward pay table. Please note: Casino Lobby does not accept players who are located in the United States. Casino Lobby runs a classic Wheel of Fortune game with a straightforward pay table. Casino Lobby runs on Total E Soft gaming software. Promotions vary from month to month, but as an example, when we last looked they had all these!! $1000 High Roller First Deposit Bonus – Make a first deposit of at least $5000 via Neteller or Wire Transfer and receive a free bonus of $1000! Weekly Tournaments – Each week, they select a game and stake amount. The players who win the most amount of real money during the week, playing on the game and stake specified will be awarded prizes in the order of $100, $50, $20 and $10. Regular Monthly Bonuses – details emails to registered players. The Casino Lobby is owned by Total E Soft Ltd, a UK company established in 2002. The casino is licensed in Costa Rica. 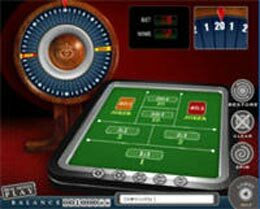 Casino Lobby operates in USD, GBP & EURO. Comments & Feedback on "Casino Lobby Wheel of Fortune Review"
Thanks for your time a great deal for this purpose use full tips! Make fully understand this issue at present!